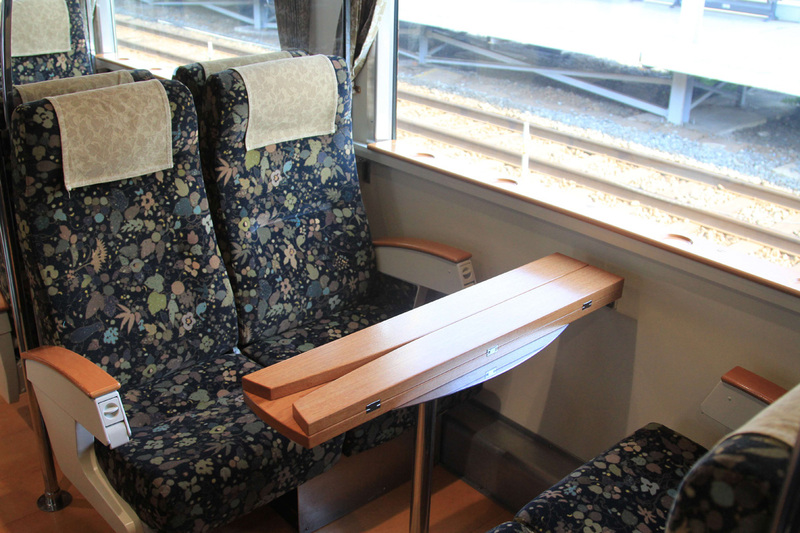 Limited Express “A Ressha de Iko (Take the ‘A’ train)” was introduced in October 2011. 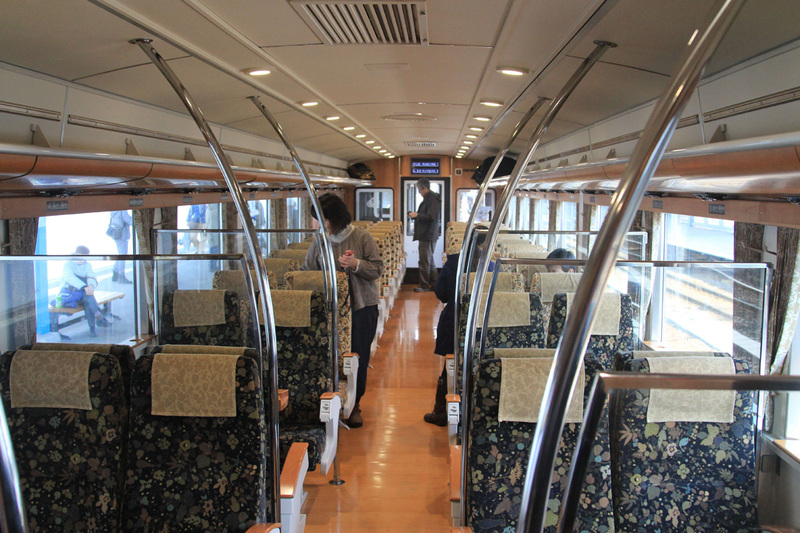 This is the first express train to Misumi in more than 20 years. JR Kyushu tried to expand the market to Amakusa and tie up with Seacruise ferry service to Amakusa. It is easily connected with them at Misumi station and port of Misumi. Port of Misumi is located just in front of the station You cannot miss it. This train is named from jazz standard “Take the ‘A’train”. So this music will be played at the bar. Misumi station is the gateway of Amakusa. So “Take the ‘A’ train” means this train take you to ‘A’makusa. Let’s see the details about Takes the ‘A’ train. *My frequent visitor, Mr. Jonathan Ayre has copyright for all images on this post. Thank you very much for your support. This is not a scheduled train. It is operated in weekend and holidays during spring, summer and autume. There are only two round trips between Kumamoto and Misumi. It is very short trip and takes only 1 hour. All trains stop at Uto station between Kumamoto and Misumi. And this train is extended to operate from Hakata to Misumi on some dates. Please refer “Seasonal trains schedule’” to get most updated train operation schedule. 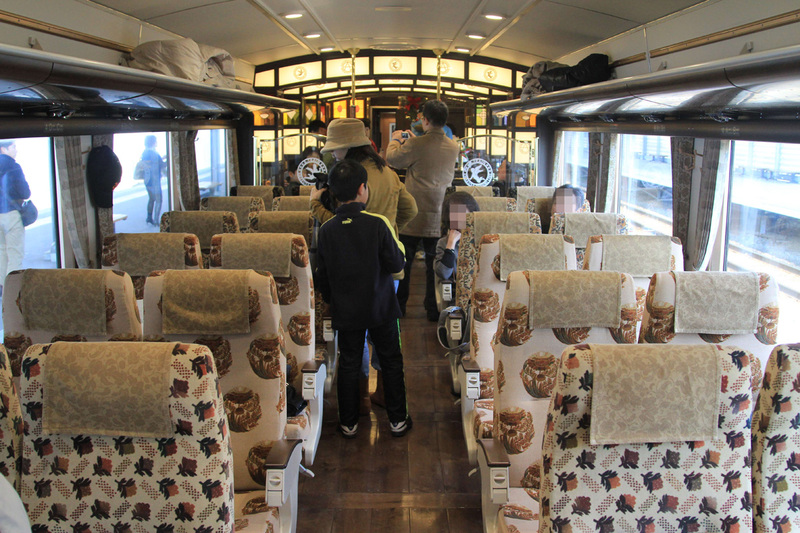 This train is remodeled and designed by JR Kyushu chief designer, Eiji Mitooka. 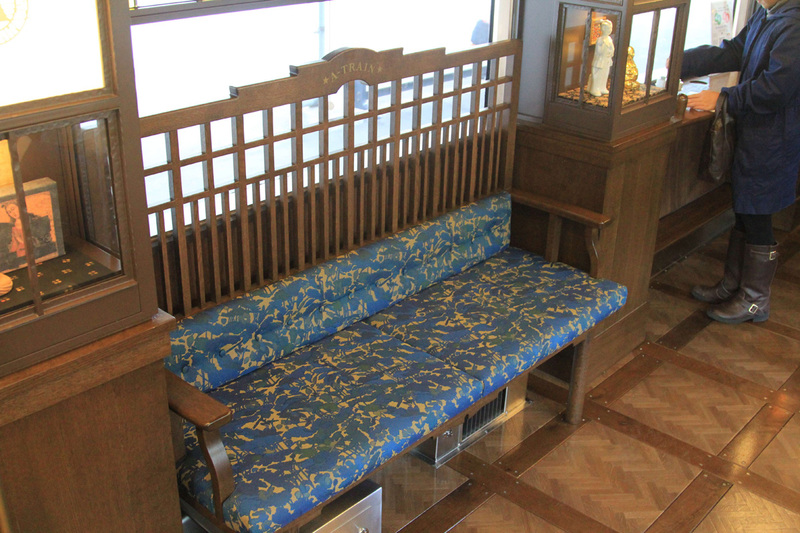 He designed most of JR Kyushu trains, such as Hayato no Kaze, Umisachi-Yamasachi, 787 series, 883 series and 885 series. 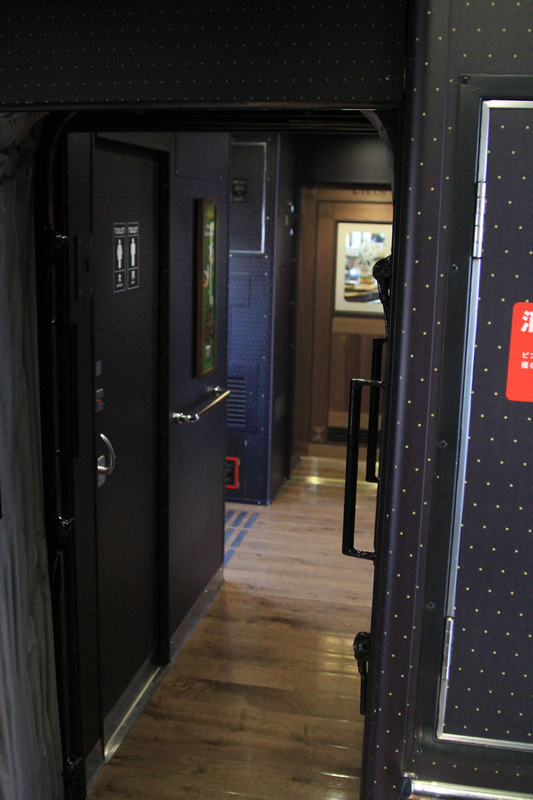 Every single JR Kyushu trains have a great deal of personality and Eiji Mitooka use traditional Japanese touch. You will be excited when you will get on this train. 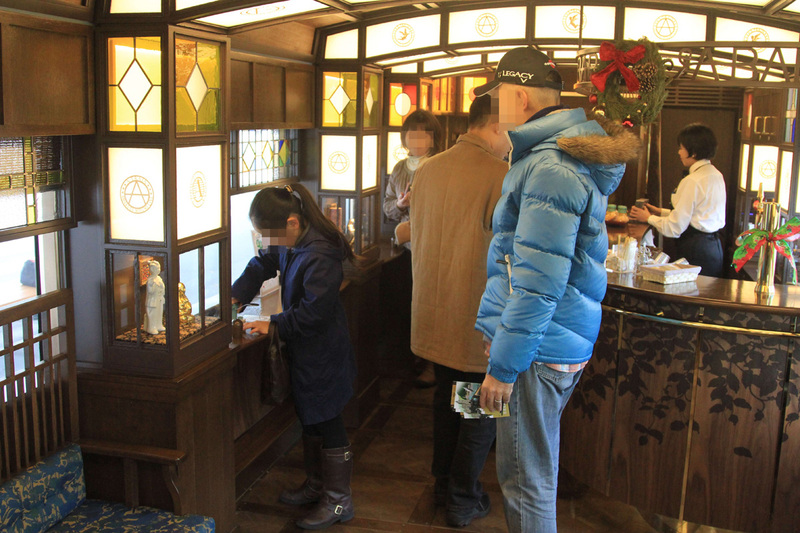 This train offers Bar service. This bar is only one in all JR trains. 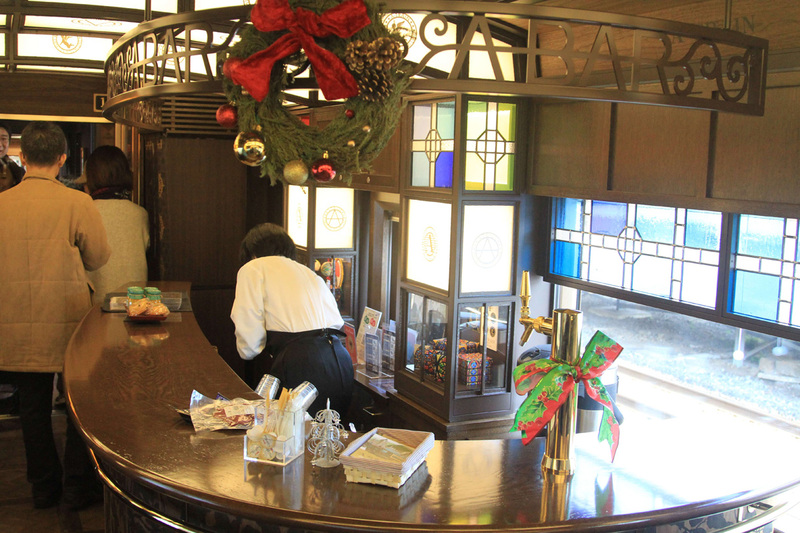 Beer, highball, wine, snack and appetizer are served in the bar. 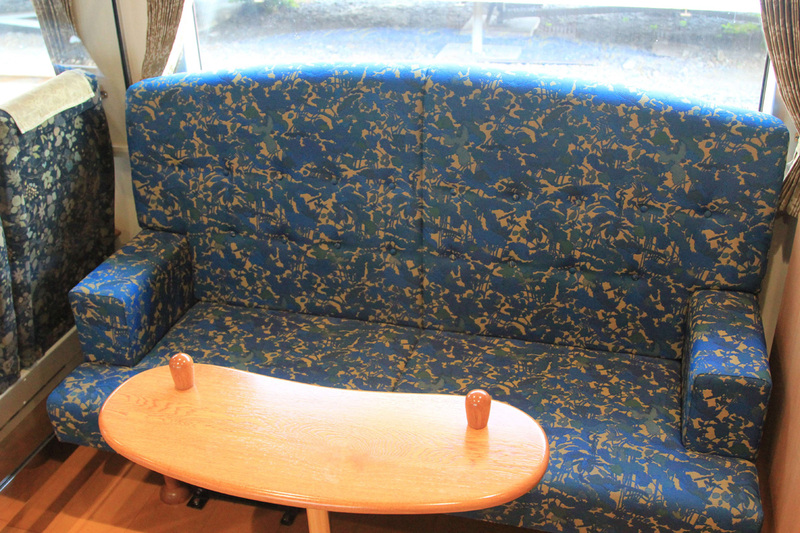 All seats of this train are ordinary seats and reserved. There is no green car. 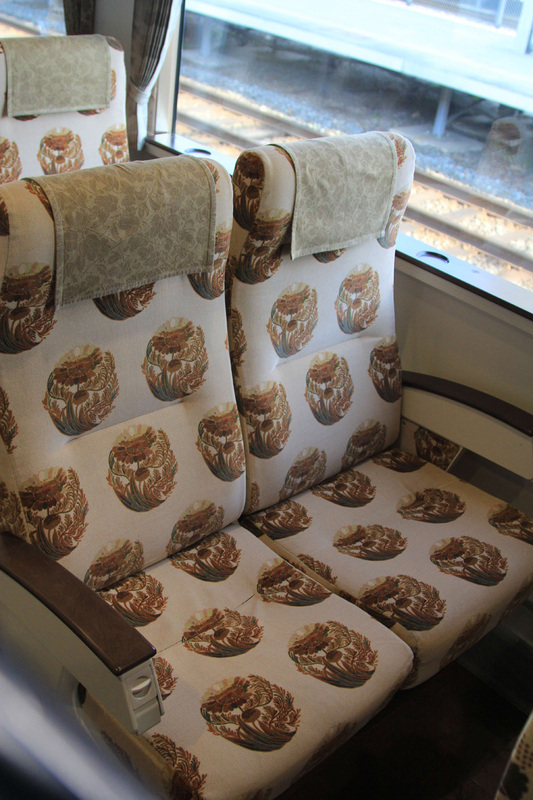 This is very popular train. Try to make a reservation A.S.A.P. 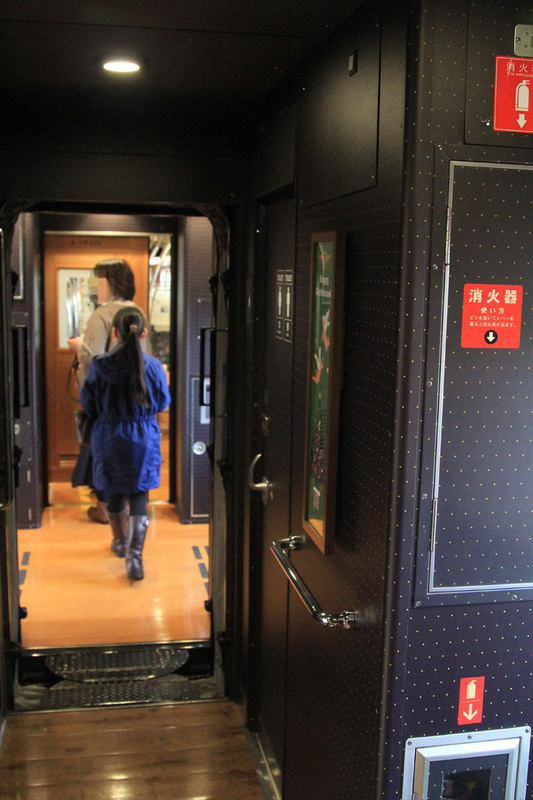 You might already know but the A train sometimes departs to/from Hakata. if you want to enjoy the train for longer time. Yes. That’s right. I forgot to mention this. I will put these dates at seasonal trains info.